At times, the amount of, certifications, identifications and qualifications that some industry sources recommend that a driver receives can seem overwhelming. 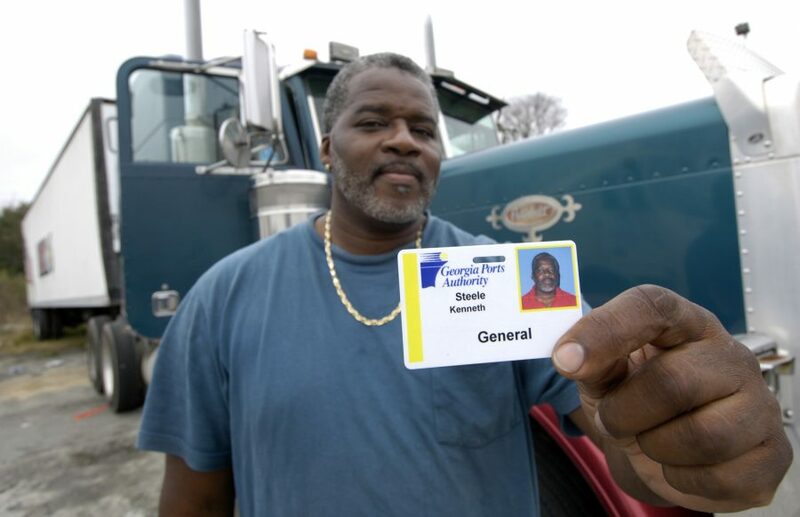 There’s no direct or perfect route in finding extra qualifications that will land a driver the most ideal trucking job, but there are many steps one can take in order to make themselves a more valuable job candidate – one of those is securing a TWIC (Transportation Worker Identification Card) Card. The majority of employers from companies of all sizes will likely require drivers to have a TWIC secured before taking them onto their fleet – but that doesn’t mean that getting this standard form of driver identification is a difficult or arduous task. What Exactly Is A TWIC Card? It’s not uncommon for many industries across the nation to require employees to have an additional form of identification in addition to a standard form of identification (such as a driver’s license or a commercial driver’s license.) Many types of occupations such as government jobs require several layers of employee clearances – and many truck driving job positions are no different. While some truckers may think that they are set after receiving their California-State issued with the Golden State embossed on the card or their Texas license featuring imagery from the Lone Star State, that often is not enough for many employers. A TWIC card is a secondary piece of identification for drivers that grants them access to many locations across the country, often areas that are related to the government or that require discretion by the driver. These cards area a means to demonstrate to employers and clients that you are a driver that operates with a high level of diligence and that a driver is also an individual who is transparent about their identity. In putting forth this relatively small amount of information, a TWIC can allow drivers to be a viable candidate for more runs to a great deal of many locations – it’s almost a passport within the world of trucking. Where Can A Driver Go With a TWIC Card? A TWIC card does not necessarily give a driver access to any location on the map, but it does open up many more locations than what would have been previously possible before receiving it. One major type of delivery and pickup area opened to drivers with a TWIC card are areas controlled by government authorities. These areas could fall into categories such as maritime ports whose activities are overseen by the government. This identification is a federally recognized credential that is also used by members of the Coast Guard – drivers who have the same identification will be able to enjoy some of the access to areas of delivery and pickup. Drivers who are dealing with boats and other activities at the continental shelf facilities level will also need this card in order to gain access to these areas. Is A TWIC Card Necessary? Some drivers may be limiting their expectations and therefore they may not feel as though a TWIC card is necessary because they will not be taking a job that requires them to interact with ports or areas in cooperation with the U.S. government. While some drivers in states like Missouri may never come in contact with a port, this does not mean that one should exclude the idea of applying for a TWIC card altogether. Just because a driver is not within a geographic area of a port or another type of governmental area, many companies will still expect an applicant to have the necessary identification. Due to the fact that the industry is in a constant state of change and the need for qualified drivers is an ever-present concern, many trucking companies are looking to applicants who are fully qualified. In today’s day and age, one who is fully qualified may be one who has an assortment of endorsements and industry accepted qualifications – a TWIC card certainly falls into this area. Furthermore, some companies are moving in the direction of becoming more stringent in who they hire and how extensive their background checks are. A driver who comes to a company with the card is often indicative of an individual who has nothing to hide. Some companies may also see card holders as individuals who have completed a thorough background check in order to find the best trucker job opportunities – these are incredibly attractive job candidates. How Does a Driver Get a TWIC Card? Fortunately, the process of receiving a TWIC card is not an incredibly difficult one, but a process that will require a driver to play the waiting game. The two primary routes in which a driver can apply for the identification card are both through the Transportation Security Administration, but how a driver applies comes down to personal preference. For the more tech-savvy driver, there is an online form of application that one can complete. Others may feel more comfortable visiting an application center, much like a DMV visit. Whatever route one chooses in order to apply, there is a great deal of documentation that is necessary to put a driver through the process. Applicants should be prepared to divulge a great deal of personal information and career-related background information. Documentation: Drivers will need some primary form of identification outside of a Class C license such as a birth certificate or passport, as well as documentation of your legal name, and any documents that show a marriage and/or any other circumstances that show a name change. Screening and Approval: The only nail-biting aspect of the screening process may come during the screening process. Due to the nature of the background check and how rigorous it is, some drivers have reported waiting as long as 12 weeks to hear back from the TSA. Certain red flags in one’s history such as terrorism, robbery, or other transportation-related crimes may throw up a red flag an exclude a driver right away – other will continue to wait. Those approved for their card will be notified of their status, and will have the option to pick up the card in person or have it mailed to their home. Drivers can enjoy the benefits of a TWIC card five years after it is issued before it is necessary to renew. If your five years is up, it’s time for you to renew your TWIC card in order to continue operating as planned and to keep your identification current. The renewal process is somewhat similar to that of receiving a CDL in the first place – it requires the proper documentation, application process, and fees for processing the application. Where this differs from an initial application is that the time period in which a renewal takes place is much shorter than the initial time period in which a driver received an TWIC card. As opposed to a general waiting period of up to 12 weeks, many drivers see their renewal in a matter of a few weeks, at most. However, drivers must plan ahead – a lapse in renewal means starting the process over again, which can inhibit one’s activities as a driver greatly and can put a company they are working for in jeopardy as well. If a trucker doesn’t look ahead to the renewal dates, they won’t be able to deliver as planned, meaning their southern regional runs to ports in Florida, for example, may be suspended. True professionals understand the need to supply themselves with the proper tools to make themselves the most outstanding job candidate they can be. While a great resume and positive recommendations from former employers are one way in which to make profound impression, showing a trucking company that a driver has gone the extra mile is quite another. TWIC cards are not a difficulty to obtain, nor are they a particularly costly endeavor for the five-year span that they are used for. These cards are, in fact, one of the easier endorsement-adjacent qualifications that a driver can add on to their career. Consider opening up your pool of job opportunities and begin the process of receiving your Transportation Worker Identification Card today.